It’s the middle of summer in Baltimore once again, and that can only mean one thing: now is the best time to enjoy Baltimore’s world famous crab cakes. We’re at the peak of crab season, so Baltimore’s favorite crustacean is prevalent throughout the city. Every top waterfront city needs an aquatic staple in their diet, and we’re grateful to have the crab cake. Those of us who live here are lucky enough to have them whenever we want, but what about those that live outside the Charm City? We want to share our love of crab cakes with as many people as possible so here’s the deal. If you run a project with us during the month of August and choose the seafood order for the client team, we will give you four complimentary crab cakes. These aren’t baby crab cakes either; they’re enormous, fist-sized, how-can-I-eat-something-so-big crab cakes. 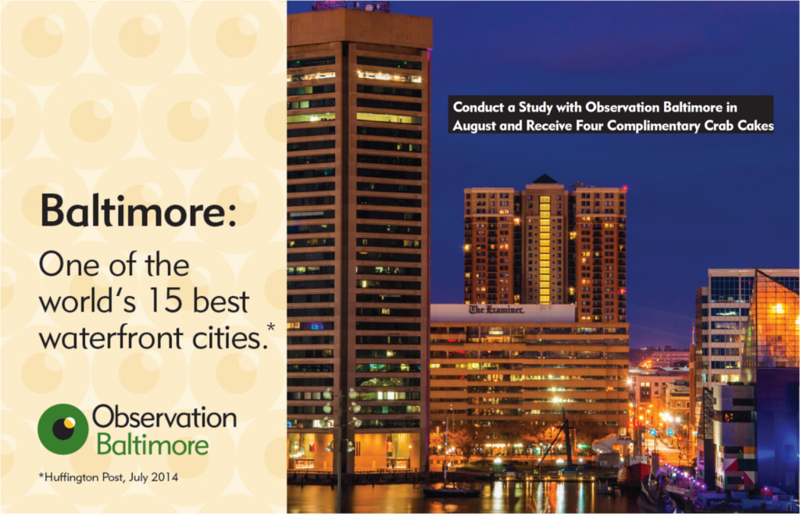 This will only last for the month of August, so be sure to visit us soon to taste the best of Baltimore! This entry was posted on Wednesday, July 30th, 2014 at 6:00 pm. Both comments and pings are currently closed.